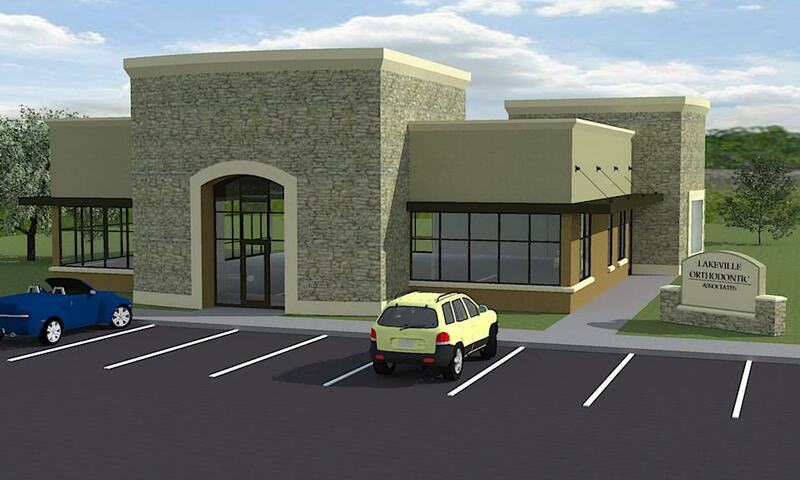 Orthodontics Office Design differs from general office design in ways other than plumbing. Spec office buildings say little about the practice inside. Signs are important, but it is just as important that the building itself communicate. The building shown here has two prominent stone masses. One houses the building entrance; the other houses Owners’ offices. Masses express importance of spaces within. Not exactly form following function, but form with a reason. 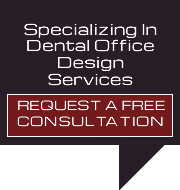 Orthodontists and other dental specialists who choose us to design their buildings come with ideas ranging from a particular style to a simple wish to build something special. We look at photographs and talk about their reactions. 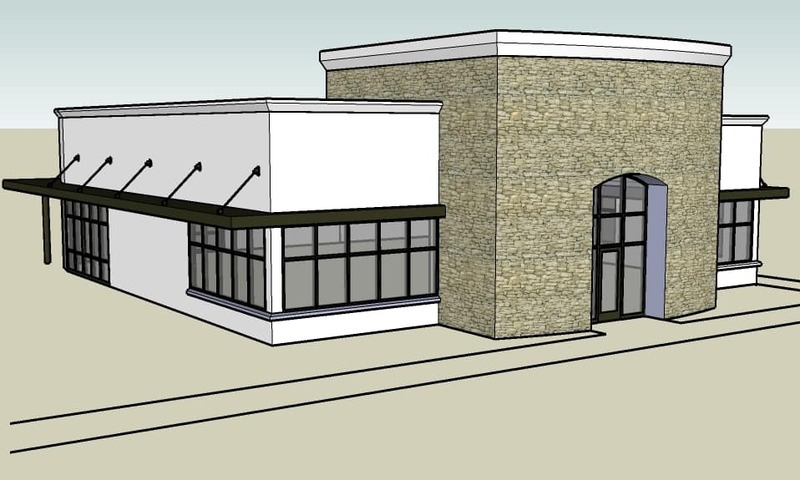 Our next step is to sketch a plan and front elevation. 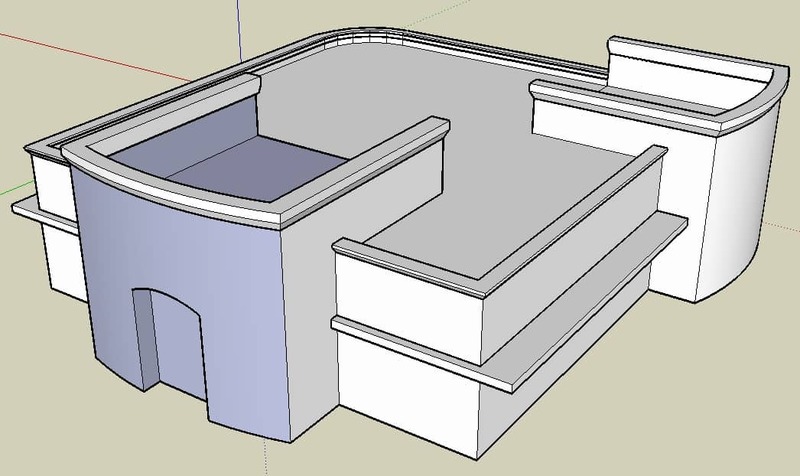 We study massing with 3D sketches as shown below. With the Owners approval we develop initial ideas for presentation to regulatory agencies such as city planning and zoning departments. Color elevations along with other drawings and documents are submitted to agencies for what is typically referred to as site plan review. The entire package constitutes a schematic design, which explains what the building is, where it is located, and how it will appear. Orthodontics Office Building and Site Design for this project were approved April 2009 by Lakeville Minnesota City Council after public hearing and council discussion. Complimentary comments by Council Chair regarding quality of presentation and design were appreciated. Approval was based on 2D color elevations as well as site drawings by civil engineer and landscape architect. As architectural design continues beyond this approval, we use a 3D model, to give Owners and ourselves a fuller picture of how the building will appear. 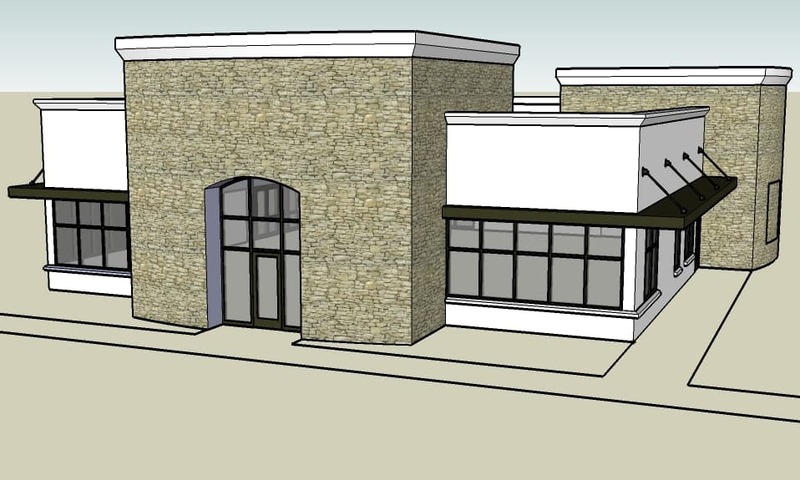 Snapshots above and below show stone veneer proposed for major masses at building entrance and Owner offices. Colors of Exterior Insulation and Finish System, EIFS, are added next.